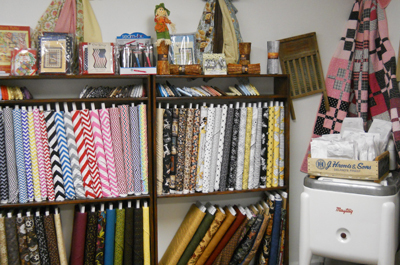 When you walk in to Southern Stitches Quilt Shop, you'll see our project fabrics. 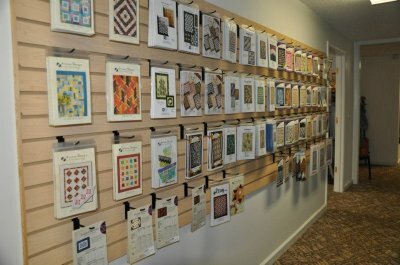 These are typically fabrics that customers use for block of the month programs and current projects and workshops. As you walk down the hallway, you will pass our pattern wall. 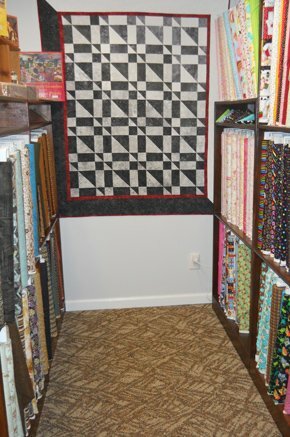 Here you will find a large selection of quilt and project patterns. As you walk through the shop, you'll see numerous shop samples. Each sample identifies the pattern required to complete a similar quilt or project. 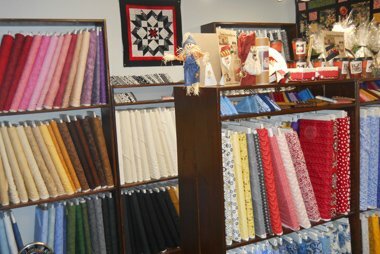 The first room on the left down the hallway contains a large selection of color and print fabrics from all the most popular manufacturers. Down the hallway to the right is our cutting room with our batik fabrics and notions.